“Go heavy or go home!” It's a common catchphrase of diehard lifters that resonates well with both those immersed in the trenches of the iron battlefield and perched atop the ivory towers of academia. Researchers and lifters alike have long espoused the use of relatively heavy weights and lower reps for more muscle and strength. However, if your intention is to build bigger muscles rather than simply impress other people in the weight room with the amount of weight you lift, then you might want to extract a few of those extra plates and keep reading. Heavier weight or “load” is usually expressed as percentage of a person's strength for one maximum repetition (1RM). Traditionally, heavier loads have been accepted in being more conducive to hypertrophy since they are capable of recruiting and subsequently activating a greater proportion of type II muscle fibers - which possess superior growth potential to their type I counterparts. Contrary to long held beliefs, mounting literature suggests that high-repetition training with lower weight can result in a considerable amount of muscle fiber recruitment and hypertrophy. In fact, recent research suggests that lighter weights performed for as many as 30 repetitions or more may be just as effective as heavy loads and low reps.
Several studies have shown that executing a greater number of repetitions, if performed to the point of muscle failure, can be equally as effective as traditional heavy load, low-rep training in stimulating muscle protein synthesis rates and increasing the size of both type I and II muscle fibers. A 2010 study published in the Journal of Applied Physiology demonstrated that a single bout of resistance exercise performed with a mere 30% 1RM performed to muscle failure was equally as effective in stimulating muscle protein synthesis rates as loads of 90% 1RM also taken to failure. 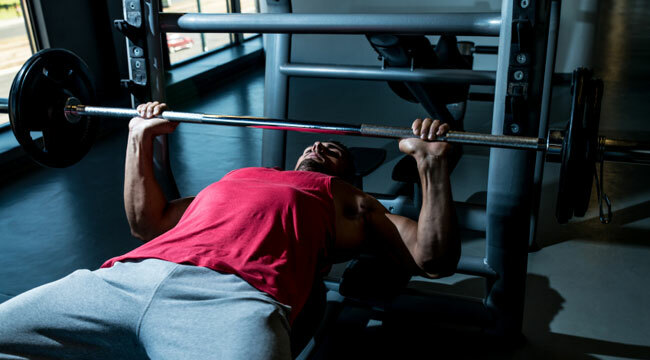 Additionally, the lighter weight high-rep programs showed a more prolonged anabolic response than a heavy load program in the 24 hours period after training. In the same study, the average size of both type I and II muscle fibers increased equally with heavy and light loads, suggesting that both fiber types were recruited during training and to a roughly equal extent. It also appears that as repetitions at lighter loads are continued, the point of muscular failure may be what’s responsible for activating additional motor units which means that reaching the point of failure with lighter loads may be a necessity in order to elicit similar muscle fiber activation as when training with heavier loads. This suggests that intensity of effort and not the amount of weight may be the more important consideration in a training program.